Ron and Maggie Tear Photography: On the Platform. Evocative and atmospheric. 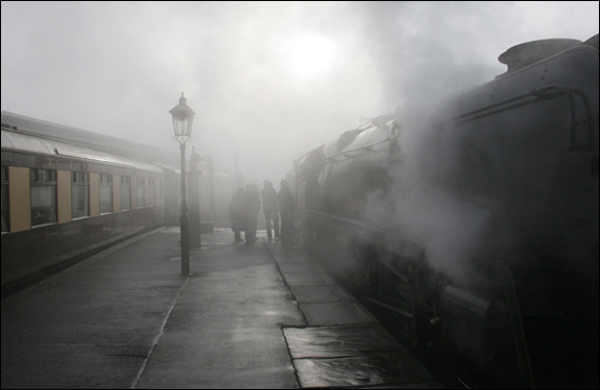 Steam with passengers, evoking the 1950's. Complete with fog.